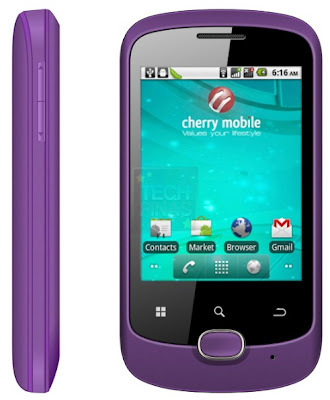 Cheapest Android Phone Crown Goes to Cherry Mobile Candy Dual SIM Phone! I think Cherry Mobile has just set a new record for the cheapest price tag an Android smartphone has ever donned! 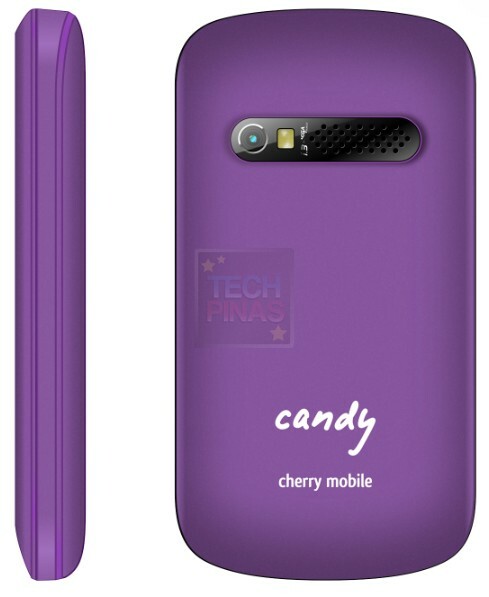 Priced at only Php 3,699, Cherry Mobile Candy (along with its full QWERTY candybar sister, Cherry Mobile Candy Chat) is currently the most afforable full-blown Android smartphone in the Philippines, if not the whole world. 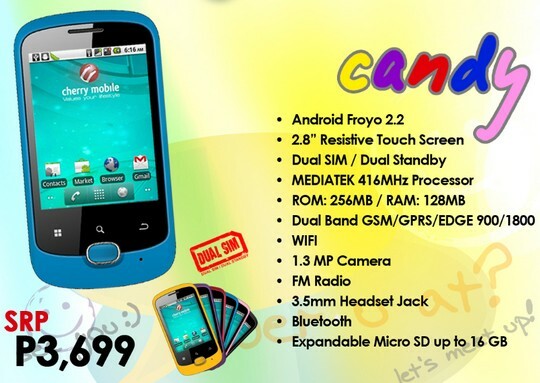 Flaunting a 2.8-inch resistive touchscreen, a 416 MHz processor that runs Android 2.2 Froyo OS, FM Radio, 1.3 MegaPixel camera and dual SIM dual standby capability, Cherry Mobile Candy supports Wifi, EDGE and Bluetooth connectivity, making it possible to access your social networking accounts anywhere you are. Had this phone come with a capacitive touchscreen, it would have totally given entry-level Android phones from bigger companies a run for the money. Truth be told, I think resistive touchscreens are very close to obsolescence. That said, I'm still inclined to believe that Cherry Mobile Candy will have its fans, especially those in the C D segment or the stingy ones who just want to try out Android.